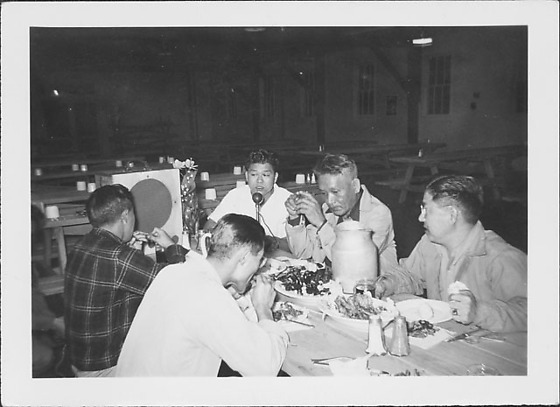 Five men sit at a wooden table eating in otherwise empty mess hall at Rohwer concentration camp, Rohwer, Arkansas, 1942-1945. A young man in white shirt speaks into a microphone at end of table next to an amplifier. Two men sit with their backs to viewer at left. Jug sits on table between two other men facing viewer. Empty tables in darkend hall in background.